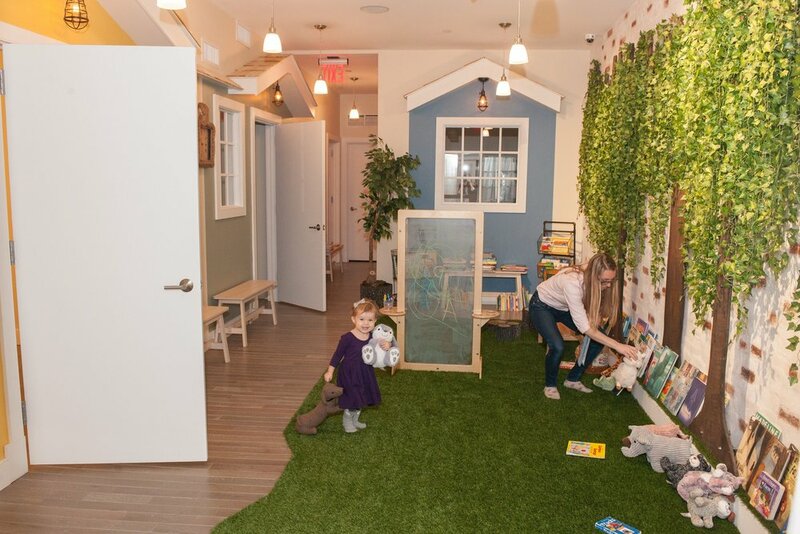 Our neighborhood of TriBeCa is pretty amazing for young kids, There are so many activities and classes around that we never have to travel far for dance, gymnastics, swimming, you name it! 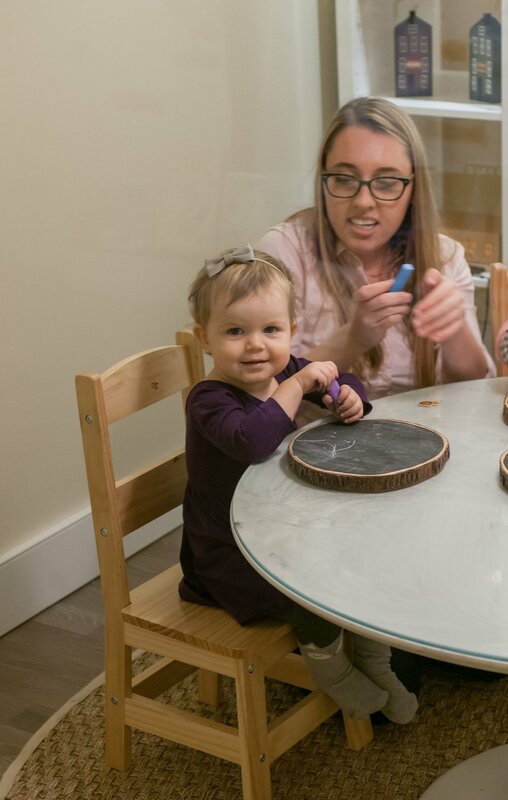 While Hermione has been taking many different classes for years now, Portia is finally at an age where she can do more than just baby music and gym. When putting together Portia's activity schedule for the year I discovered a newcomer to the neighborhood, Book Nook. 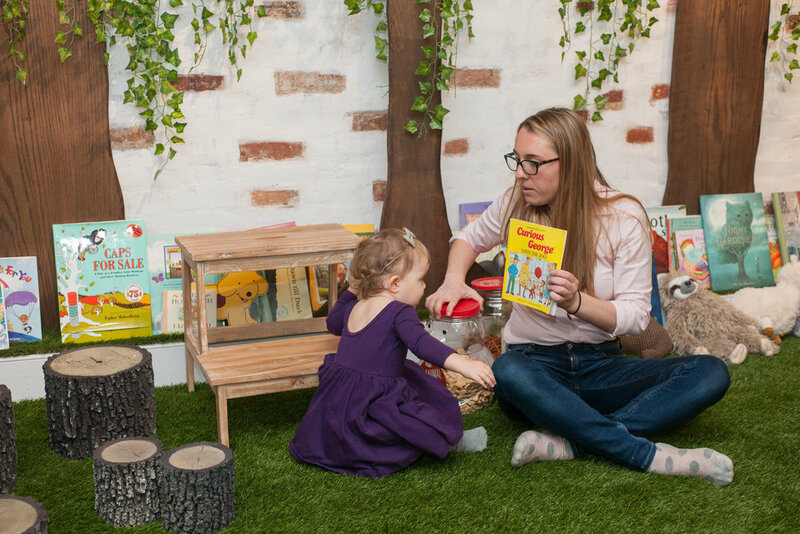 Book Nook is an early literacy program that encourages a love of books from a young age. This enrichment program is unlike anything I have ever experienced. It is so sweet, thoughtful and really has helped Portia with her letters, sounds and pre-literacy skills. Plus the space is so beautiful! Who wouldn't want to learn in a magical tree house! Portia attends Book Nook once a week for 1.5 hours. At first the length of the class and the fact that it is drop off intimidated me. She's still such a baby in my eyes! However, from day one Portia calmly took her teacher's hand and walked right into class. No problem. Each week she get's so excited to go to "Baby School" as we fondly call it. At the end of each Book Nook class Portia comes out with a folder of all the work she did that day. It really amazes me how much she is learning at such a young age. She can recognize her letters, draw straight lines and much more. Rina Collins, the founder of Book Nook has been a teacher since 2000, a preschool director, a tutor and a reading specialist. Her expertise in early literacy shines through with Book Nook's curriculum. The idea for Book Nook first came to her when she was a private tutor. She realized the children she was working with were excelling at reading and writing more when they worked in a cozy, familiar, home environment. 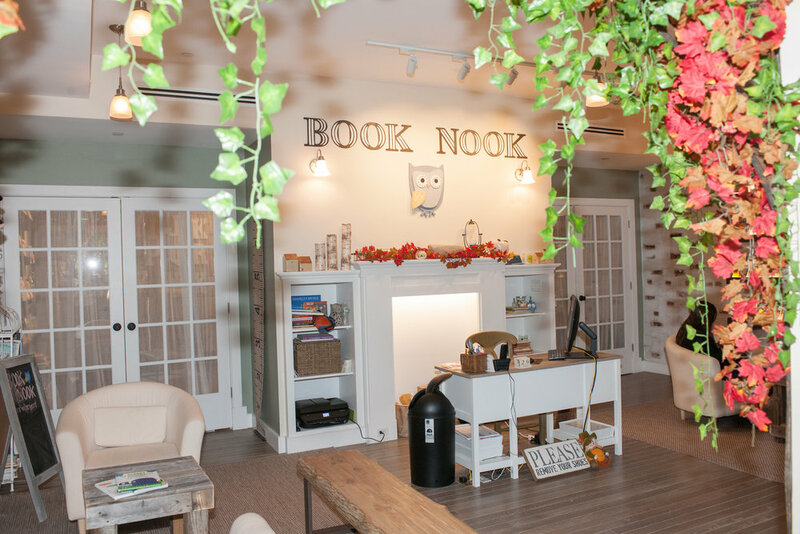 When she launched Book Nook she recreated the safe feeling of home. 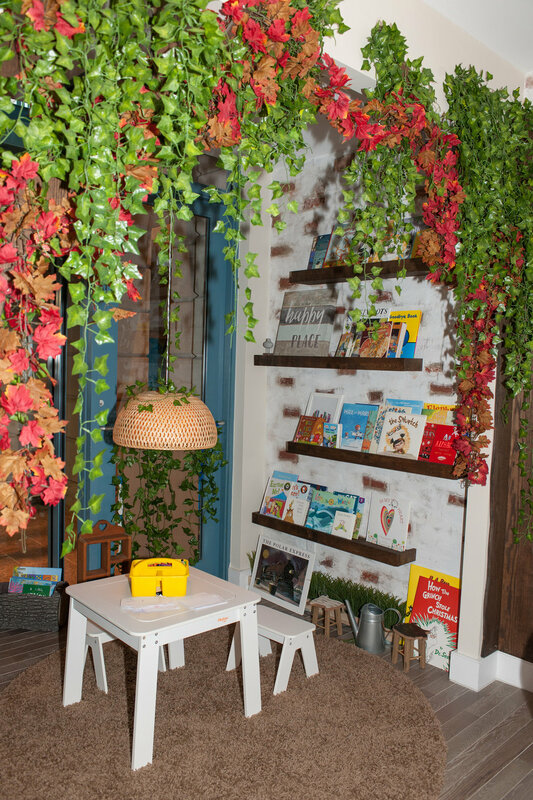 Each Book Nook space is deigned to resemble the most magical cozy tree house. The kind of place you want to spend hours curled up with a good book in! When asked what makes Book Nook different from other programs Rina says unlike tutoring or school it is a very niche program. Children come only once a week for a true literacy experience far beyond a typical reading class. 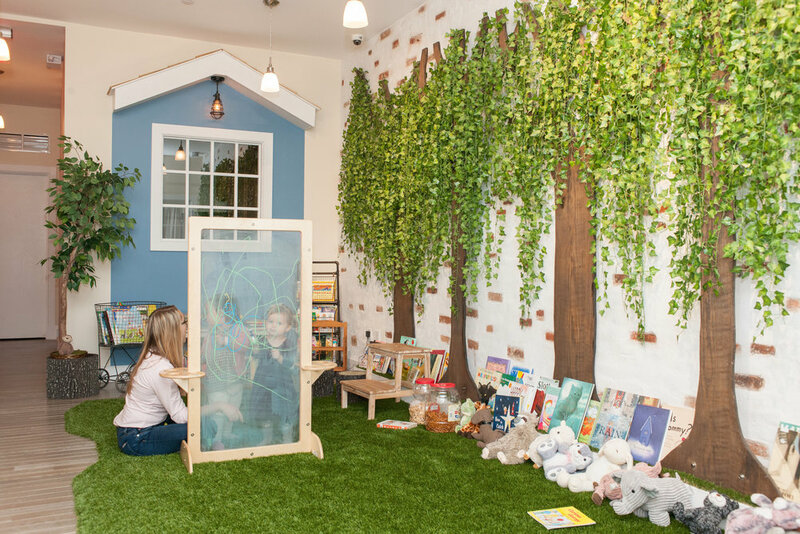 Book Nook has classes for 6 month olds all the way through age 7 and each class is kept very small to maximize the children's experience. The teacher's at Book Nook are very, very special. Portia adores them and is so happy to see them each week. They are all true book enthusiasts. Part of the interview involves reading a book aloud! If you looking for a very special enrichment program for your child I cannot recommend Book Nook highly enough! Neither can Porchie!